It’s Saturday morning. I usually make a point to spend weekends with my family and not do any work unless it’s completely unavoidable. Frank Lucas said he’s ready to make revisions on the book. 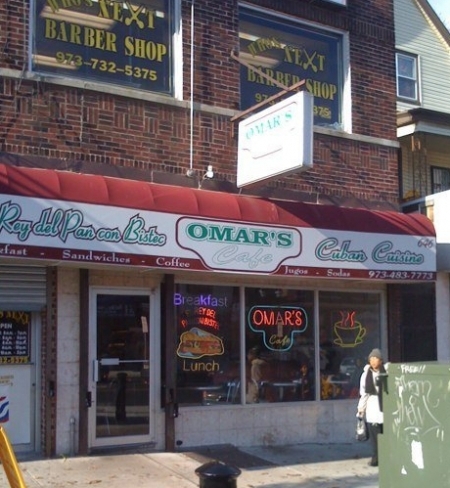 I stopped by Omar’s to get my cafe con leche. I’ve been in and out of Omar’s for months. Never a change in his behavior toward me. He always give me a questioning look that means what do you want. Even though I order the same thing every time I come there. I tell him coffee. He grunts. He makes the coffee. Sugar? I say yes. He puts it on the counter and walks away. Today, I come in. I’ve never been in Omar’s on a Saturday. It was bustling. All families. None of the blue-collar workers I usually see at the counter. Parents and children crowd tiny tables and eat Omar’s world famous cubano bifstec. Omar gives me a head nod. I had to look around to see if someone was standing behind me because I knew he couldn’t be headnodding at me. He turned away and made. my. coffee. Didn’t ask me if I wanted sugar. Just made it the way I like it. And plopped it on the counter. His eyes were on the soccer game. I put my dollar on the counter and picked up my coffee. Omar took my dollar. And he said, thank you. This entry was posted on March 28, 2009 at 9:59 am and is filed under Uncategorized. You can follow any responses to this entry through the RSS 2.0 feed. You can leave a response, or trackback from your own site. Yaaay! Breakthrough! You know…reading your Starbuck’s post from yesterday made me think of Omar’s, and I was going to ask you about it. So I was really happy to see this post today. I love the way you write your entries. They say “to be continued…” even though you don’t. Fabulous! Good job Omar!! I actually thought about Omar one day last week. I ran into the owner of the store I used to visit almost every day when I was in E.H.S. It’s been 3 years since I last saw him, he still say my name Kay-Kay with his heavy Haitian accent. But now I’m questioning was he just nice or was he a fresh older man. He told me I was still so pretty. I told him thank you. Then he kept going on about do I have a boyfriend and was I waiting for him. I’m like nah I don’t think so.But im happy to see things getting better with Omar! Ahh…the rare Saturday blog post. Much Appreciated! Congrats, on the “breakthrough”? @Aliya ..BTW You know I am so waiting on the Email Editor Blog!!!!! Head nod is good. WTG! I’m telling you, when the weather breaks, Omar will give you a little more conversation. Whatever you do, don’t change your order, it will take you back to square 1. Finally ! lol ive defiantly come to love you an omar’s funny relationship , makes you appreciate the little things like his simple head nod , LOVE IT ! , defiantly anticipating what’s going to happen next like … him asking an ACTUAL question & having a conversation ? , the most weird thing when you actually become “shop buddies” (i think thats the term you would use , unsure hehehe ) is when you see them out somewhere like a club , well thats where i saw one of the ladies from my shop , its so weird its like “seeing a dog walk on its hind legs” lol stole that one from Mean Girls . Thats my spot! Its around the corner from where I live and they have the best Steak Sandwiches.